Why do you write blog posts? I’m going to assume it’s the same reason I do: the expectation/hope that your post will be read. One of the most effective tools a blogger has for getting their post read is the headline. Think of your post as a book and the headline its title. Now imagine your book (post) in a gigantic library filled with tens of thousands of other books. Your target audience is browsing among the bookshelves, scanning the titles for something of interest. A tiny handful of the titles they see might compel them to take the book off the shelf and flip through the pages. Research suggests that eight out of 10 people will read your headline, but only two out of 10 will read the rest of what you wrote. What we are talking about here is click-throughs; i.e. when a user clicks on a hypertext link which points to another website. Your website. This article is part of a two-part series on mastering the art of writing compelling headlines, meaning headlines that will optimize your click-throughs. 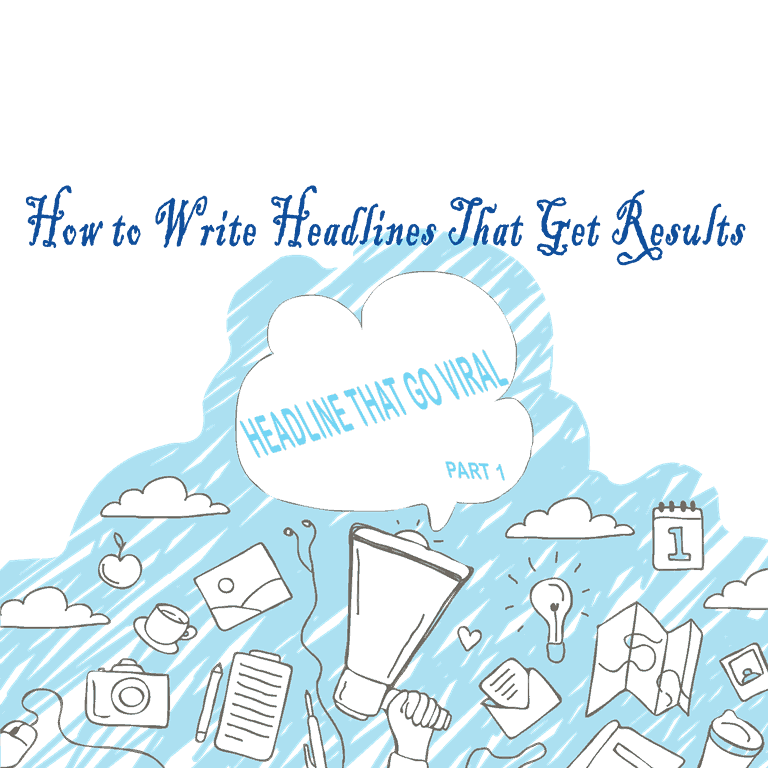 In Part 1, we’ll go over some essential tips and tricks for how to write headlines that get a result. In Part 2, we will get into formulas you can use when building your headlines. As you go through the tips and tricks below, think about the headlines you see in sidebars every day that you are most likely to click on and whether or not these tips apply. Compelling someone to do something–click on a link–is about psychology. As such, writing an effective headline requires that you know who you are writing for. You need to have a thorough understanding of your audience–who they are, what is important to them, what they will be captivated by, and what they will be turned off by–before you can try to figure out what kind of headline they will find compelling. For example, I would wager that any headline I might be compelled to click on would be of no interest to my twenty-something son and vice versa. It bears repeating: Know your audience. Readers tend to scan rather than read headlines. When you are writing your headline, assume that your audience will read only the first three words and the last three words. This doesn’t mean your title has to be limited to six words. It just means that you need to make those six words count. 3. Make it personal and compelling. Include or reference the reader and speak directly to your reader like a personal conversation. 4. Use interesting and descriptive adjectives. Adjectives are eye-catching. However, the key words here are interesting and descriptive. Don’t get lazy with your adjectives, using the same ones over and over. Here are some great ones: unique, absolute, essential, effortless, strange, incredible, beautiful, brilliant, fun, horrifying, useful, valuable. Say what? Yes, this does seem to fly in the face of everything we’ve been taught about keeping communication positive. However, research has shown that when it comes to headlines, negative words lead to more shares and click-throughs than positive ones. In fact, the average click-through rate on headlines containing words like never, stop, no, without, and worst is 63% higher than those containing positive ones. Go figure. Here are some great power words to include in your headlines: Top, Why, How, Will, New, Secret, Future, Your, Your, Worst, Free, Because, Instantly, and New. Start your headline with a number, and make sure to use the number itself (7) rather than spell it out (seven). Why? The use of a number tells the reader to expect a list-type post that will be scannable and easy to read. Also, the number itself implies how long the post will be. For example, a low number tells the reader the post will be concise, and a larger number indicates it will be more comprehensive. That’s a lot of information being conveyed from one or two characters. The keyword should always appear in the headline of your post. 10. Incorporate drama, excitement, or humor. We’ve all seen those sidebar articles with a startling or hideous image and a headline reading something like “You won’t believe what your favorite child stars look like now!” That’s incorporating drama. It’s also a promise, by the way. 11. Pique curiosity with a question. Three things to keep in mind when using a question as a headline. First, make sure the question is something your target audience wants to know the answer to. Second, don’t answer the question in your headline. Third, never ask a question your reader can answer “no” to. Research tells us that headlines that include a hyphen or colon get 9% more click-throughs. Your headline should be straightforward, concise and use familiar words. Enough said. 14. Follow the Proper Noun Rule. “Name the known, omit the obscure.” In other words, if the subject of the post is well-known to your audience, use the name. If not, don’t. 1. Avoid all-caps and exclamation points. To be honest, the widespread use of exclamation points has reached the point for me of a pet peeve. I’ll make it simple. No exclamation points or all-caps. Ever. If you can’t convince someone with your words, it doesn’t help to shout. Don’t believe me? Ask yourself if you are more likely to want to read an article because the title ends with an exclamation point. No? ARE YOU SURE?! Point made. The problem with overused words is that readers ignore them or disbelieve them and, by extension, the site they are published on. A good example is a word shocking. Other examples are best, fastest, cheapest. The point is that even the best words lose their effectiveness through repetition. And this does not only apply to overuse across the internet. You also need to be mindful of word overuse on your own site. If all your posts have a headline using the words “amazing,” “incredible” and/or “unbelievable” your whole site starts to seem not-so-amazing, thoroughly credible and entirely believable. If I had a dollar for every time I have clicked on a link whose headline promised me something the post did not deliver, I would be lying on a beach somewhere in the South of France instead of writing this post. (Well, not really. It’s far more likely I would be writing this post on my iPad while lying on a beach in somewhere in the South of France.) The point is, nobody, likes to be duped and the credibility of your whole site will suffer. I hope all of the above is helpful to you. If anyone out there has more tips to share, feel free to comment. We’d love to hear from you. Stay tuned for Part 2 where we get into formulas you can use to help build your headline. As always, happy blogging! Headline is a very important for post an article. If our title is not effective then nobody cannot searching on my post. We need to use keyword and effective title. Your post is very effective and awesome tips. It is very important for start a blogging. Headline or title is a nice part for searching. So if our title is effective then we can get more traffic or we can sell our product. Hi Adam, Hi thanks for your comments. And, Yes.. the headline is the most important when we start writing because it the 1st thing that people see. Great can get nice results if we make good headlines. Your article is awesome for me because you remember me about results. I get help for here. And always I prefer on your site. Your article and post quality is nice. You maintain everything on here for posting. Hi Kirsty, thanks for visiting and comments.